The River Road bridge is open after five weeks of construction. 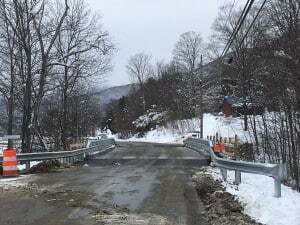 After about five weeks of closure, the River Road bridge is back open. 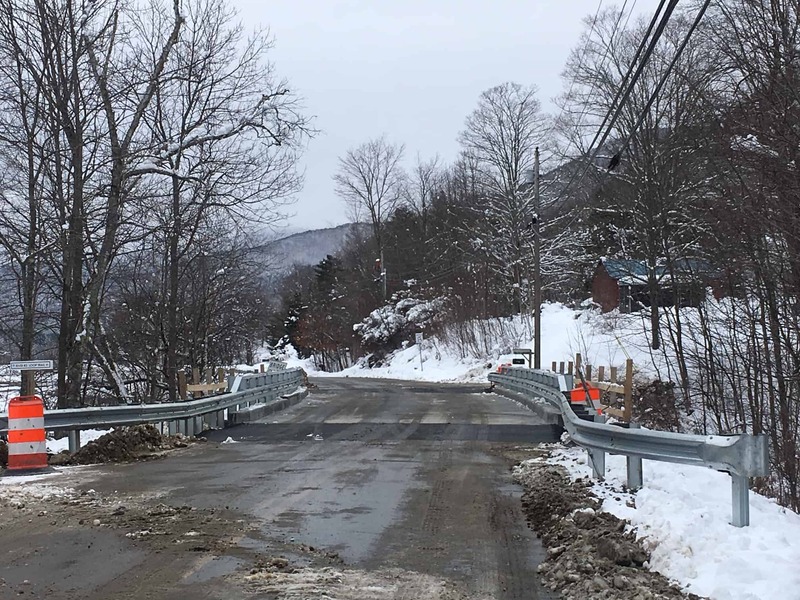 The 1939 bridge, which is the second oldest in town, opened Nov. 29—nine days later than scheduled due to early season snowfall. The deck was replaced and a new guardrail was installed after the the deck failed a biannual state inspection. The town received a $175,000 grant from the Agency of Transportation toward the $405,000 bridge project. Town Manager Chet Hagenbarth said the bridge still needs to be sandblasted and painted. Temporary paving currently at the bridge will be replaced with permanent paving next spring.